10s (well, 5s) across the board! A hard hitting drama about love, loss, discrimination and acceptance. It beautifully tells of the struggles of LGBT+ individuals in 80s New York. Pose hits pretty damn hard. It makes you realise how far the LGBT+ community has come since the 80s, and how different it would be living in the 80s compared to today. 30 years ago, the world was gripped by the AIDS epidemic, fuelled by homophobia and hatred; life was difficult for LGBT+ individuals in the 80s. One community in particular that is often overlooked in this respect is the transsexual community, and, along with AIDS, is a cornerstone of the series. Above all, Pose focuses on ‘The American Dream’, where every individual character is trying to put themselves in a better position. Take the protagonist Blanca, a black pre-op trans woman. She states at multiple points in the series that she is the at the bottom of the ladder when it comes to society. She is also HIV positive, and wants to leave a legacy behind to remember her once she’s gone. She does this by creating the house of Evangelista; essentially a team to compete in balls, an environment where individuals who are outcast from regular society can compete in categories to try and prove they can fit into the mainstream stereotypes of masculinity and femininity. But a house is more than a team, it’s a family. And Blanca really focuses on the family aspect, taking in LGBT+ individuals with nowhere else to go and giving them a home, a family, a purpose. The most show stopping portrayal of the suffering that the AIDS crisis is that of Pray Tell (played by Billy Porter). The emotion he conveys throughout the series is haunting. Every one of his scenes, from the gradual wasting away of his boyfriend due to AIDS, to the chilling scene where he finds out his HIV status are masterfully portrayed, and part of the reason that the show is such a success. I was fairly critical of the casting choices made by Ryan Murphy, who also brought the American Horror Story (AHS) franchise to life. There are many actors that were originally cast in AHS that were then in Pose. However, the casting was perfect and for some of the roles, such as Pray Tell and Patty Bowes (played by Kate Mara). It wasn’t just the actors that made the series so good, or even the story behind. The cinematography also enhanced the whole experience, with contrasts between the bustling New York financial district to the neon rich ballrooms, fading seamlessly from lively night to chaotic day and with angles that allowed the actors to express such dimensional emotions when discussing such sensitive topics. But this isn’t just a visual journey, the soundtrack was amazing throughout, with a host of 80s classics from Madonna to Kate Bush, it truly helped captivate the era and build a world around the characters that was truly believable and enchanting. 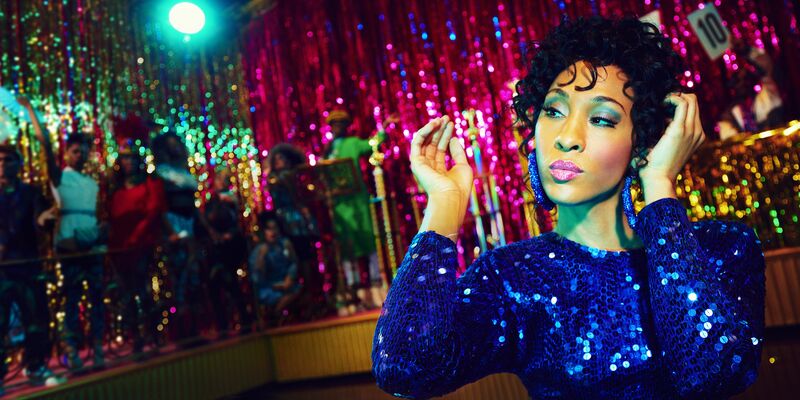 Pose may not be the biggest show, but its three dimensional characters and Murphy’s ability to create worlds for a story to thrive make it a masterpiece of modern television, in a different way to that of shows like Game of Thrones. It is easy to follow, difficult to watch and will leave you breathless.